Self guided lessons with 450 support videos. 4 books to download. More than 60 Songs. Beginners welcome. The 4 Simple Steps work for play by ear students and note readers. Over the 30 years I have been teaching piano, violin and guitar, I’ve noticed that my students really want to play. They love music. But they don’t know how to learn. It’s a big problem. I had the same trouble, all the way up through graduate school. Yeah, I was practicing 4 hours a day then; but I might have been making progress in 1 or 2. The rest was a big waste of time. I realized the success I’m having with students I see every week here, would also work online… IF … I included help videos all the way through, and laid it out in simple steps anyone could follow. He was just as fantastic with my younger children as he was with my older, more accomplished, child. David Paul is an outstanding teacher, worthy of much praise and recognition. As a performer and musician, he is phenomenal and awe-inspiring; but more than that, his incredible devotion to music makes him a wonderful teacher. David has taught three of my children over the last six years. He was just as fantastic with my younger children as he was with my older, more accomplished, child. He is smart and quite amiable, yet firm. When taking a new student, he always seems to recognize what style of teaching that would best be employed.David takes his work seriously; he is always prompt for each lesson and responds quickly with any emails or phone calls outside of lessons. I highly recommend you consider him as your teacher. He has proven to be astounding and stupendous in the art of music. David immediately impressed me with his quiet, attentive manner. To Whom It May Concern: I would highly recommend David Paul as a piano teacher. My children had lost all of their love and passion for piano due to the highly structured and systematic approach their previous teacher employed. Trying new music and composing on their own was frowned upon by their previous teacher, and this unfortunately affected my children’s interest in continuing with their lessons. David was referred to me by a friend whose son was a student of his. David immediately impressed me with his quiet, attentive manner. He embraced my children’s need to be creative in their playing, as well as encouraged them to present pieces they wanted to learn. Even though we were only able to have David as our teacher for one year, the progress my children made was amazing. They began to tinker and compose at the piano again; they would happily sit down and play daily; they were excited for lesson time. I can’t express how grateful we are to have met David and to have benefited from his talent. David Paul is a tremendously qualified and honorable teacher. David always had a calm and pleasant demeanor when he would arrive, with a smile for the students. When giving critiques, he had a soothing way of correcting without embarrassing or belittling. It seemed like my daughter was empowered after a lesson. She was given the tools she needed to improve and the mental boost to know she could accomplish the task. Some of our favorite moments were when David would preview a song for the student, playing from beginning to end. His talent was obvious and it was such a joy to hear what the piece should sound like before attempting it. David Paul is a tremendously qualified and honorable teacher. Anyone would be fortunate to learn from him, young and old alike. I highly recommend him as a music teacher and as a person. His patient instruction and musical experience helped our students develop their own musical style and confidence at the piano. David Paul is an accomplished musician and teacher. Our 4 boys have had the privilege of working with David for over 9 years and they have all progressed very well at the piano, both musically and technically. David has a well-balanced approach to teaching, developing technique and creativity in each musician. 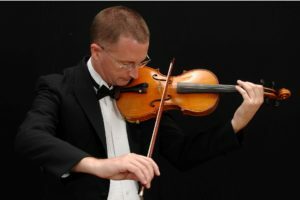 He challenges the student to work hard and strive to play to their potential, while exploring a variety of musical styles and the student's musical taste. David encourages and instructs the student to express their musical personality by not only reading the notes, but developing musical interpretation. Each of our musicians has a very different approach to the piano, and David has worked well with each personality and musical ability. His patient instruction and musical experience helped our students develop their own musical style and confidence at the piano. He brings out the best in each musician! We highly recommend David Paul! I’m quite eager to finish my graduate school program so that I can use David’s methods to “jam” with my own kids!! "I have had the pleasure of working with David Paul for the past three years. I have seen David in action in a variety of capacities. In addition to being my daughter’s violin teacher and director of the music program that my children participate in, David also provides music education in some of the classrooms where I work. Across each of these environments, David is extremely professional and deliberate in his approach. David approaches teaching with a quiet and steady intention. Children, including my own daughter, respond very well to David. David is skilled at building trusting relationships with children; he attends to his teaching responsibilities and balances the “adult talk” that occurs when parents are present by maintaining a focus on the child’s strengths, needs, and goals. A true professional, David will be respectful of your family’s time and goals. I happily recommend David Paul as a family and child music teacher. In fact, I’m quite eager to finish my graduate school program so that I can use David’s methods to “jam” with my own kids!!" I highly recommend David so you learn to play very fast your dream instrument. "David has been my guitar teacher several months now. What makes David unique is his 4-step system that teaches you not only to read notes but play by ear. Learning with his system makes it very easy to play a song right away too. I highly recommend David so you learn to play very fast your dream instrument." He works as well with beginning and just-for-fun players as he does with committed prodigies. We are so happy!" "After having a few very so-so experiences with some local teachers, I finally asked a friend whose daughter went to Denver School of the Arts for the number of their violin teacher. She told me that David was the only reason her daughter survived the orchestra program there. My daughter, who has an excellent ear but at that time little skill, started with David soon after that conversation. Now she also attends DSA. He was and is great at meeting her where she’s at with the perfect amount of kind nurturing combined with firm expectations. He works as well with beginning and just-for-fun players as he does with committed prodigies. We are so happy!" Effort will always be necessary. Wasting time isn’t! The 4 Simple Steps is very close to how talented self taught musicians learn. They have fun! They can often play multiple instruments. I’m excited to share this new method because independent learners who like to learn online can really take off with it. In some ways, it’s custom built for home school children. They “get” self guided learning… and that will go a long way to help them be successful with their music. Besides, not everyone has the time or extra money it takes to find a private music teacher. Home school children can play together too. All the music in all 4 books matches. And all the songs have guitar chords so parents with some knowledge can play along as well. Step 1: Get your notes in a row. Take your new “music vocabulary” and just start talking. Make it up. Jam. You control it. You’re in the land of no wrong notes. Getting fluent is really important! Smooth rhythm helps carry the feeling of the music. Besides, you’ll develop your creativity here too. It’s the life blood of music. Since you already played the notes you need for the song in Steps 1, 2 and 3, you’ll learn it 4 times faster. It’s way more fun. A written or recorded song you want to learn is just a bunch of echos in a jam placed in a specific order. Save a ton of time and wasted effort. I‘ll send you a sample lesson to show you how it works. You can try a free lesson for violin, guitar or piano. There’s no catch, no obligation. Just tell me where to send the link and you can do the 4 Steps yourself. Your email will remain 100% safe. We don’t show it, give it or sell it to anyone for any reason. Master Step 1, and you’ll solve 85% of every problem you’ll ever face playing a new tune. Master Step 2, and you’ll play by ear better than 90% of the note readers out there. Master Step 3, and you’ll know how to put artistic expression in all your playing. Unlimited lessons include over 450 videos for more than 60 songs in 4 books. They are for piano, guitar and violin. With your subscription, you get access to all the songs right away. You can download and print all 4 books. That’s over 120 pages of music. It is a $60 value all by itself. The books include simple kid’s songs and quickly go into folk songs, blue grass songs, blues, and classical pieces too. Master the 4 simple steps and you’ll know how to fish. You’ll be independent. You won’t need a teacher all the time. These lessons teach both note reading and playing by ear. Every song has it’s own short video that shows written notes going by as you hear the song. Play with your friends and family. There are guitar chords on every song and duet parts too. How to use the 4 Simple Steps to play by ear. You will learn to think like a play by ear musician. Listen to the songs, stop the recording and echo what you hear. A good play by ear musician hears a song just a couple times and can play it. You will build up to that level with the 4 steps. How to use the 4 Simple Steps to read notes. Download the books. Listen to the videos and watch the notes go by. Play the songs from the written music. You get lots of extra note reading help in the books. Dorothy in the Wizard of Oz knew something was up. We live in a world that moves a whole lot faster than it used to. How we learn music needs to keep up with the changes. Stop wasting so much time learning to play. Let these 4 Simple Steps free you up. They cost a fraction of what you would pay a private teacher. One subscription can be used by the whole family! Order today and save $10 off your first month’s subscription. Don’t delay. This offer is good today. Enter the coupon code Save10 at checkout. Try the lessons for month. You have nothing to lose. If you’re unhappy with them for any reason, you get all your money back. You have a 30 day, 100% money back guarantee. No questions asked.